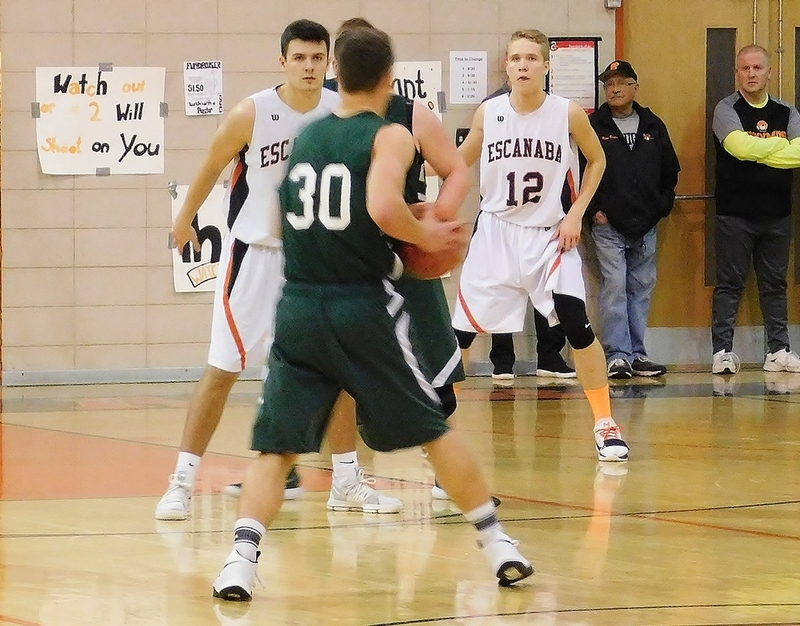 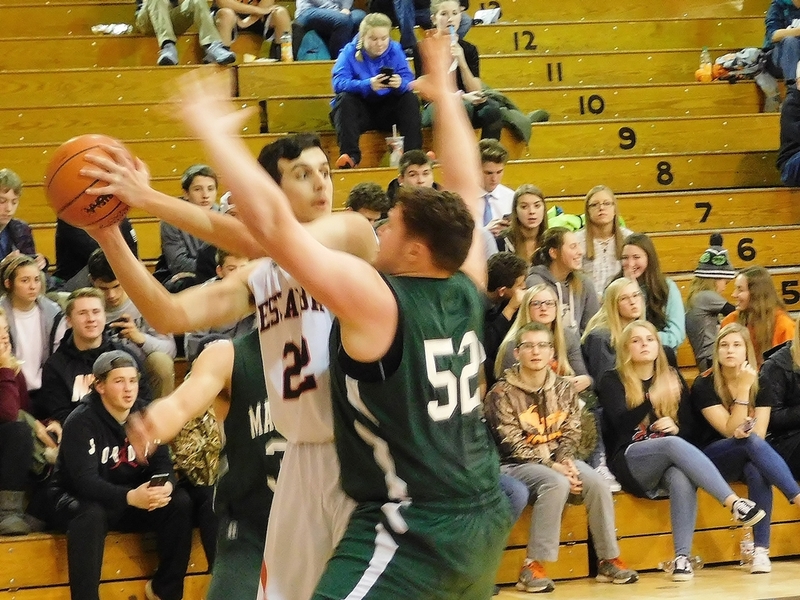 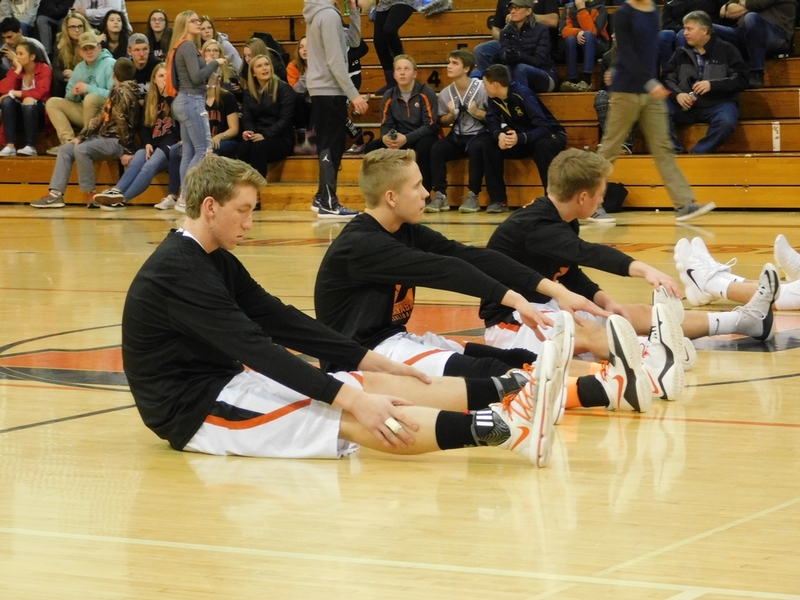 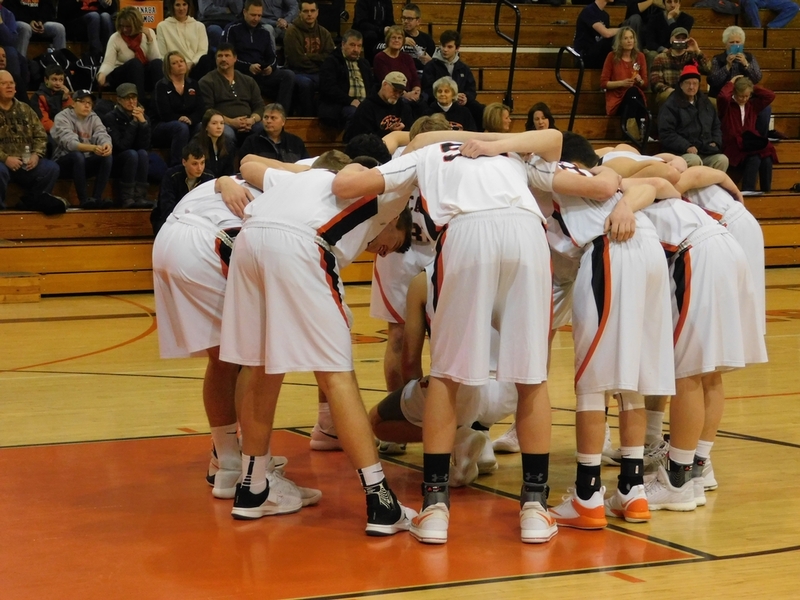 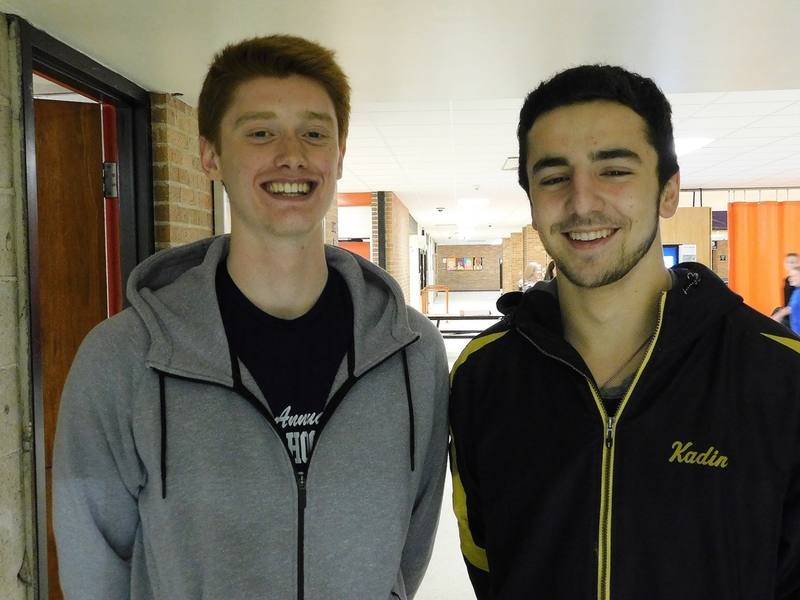 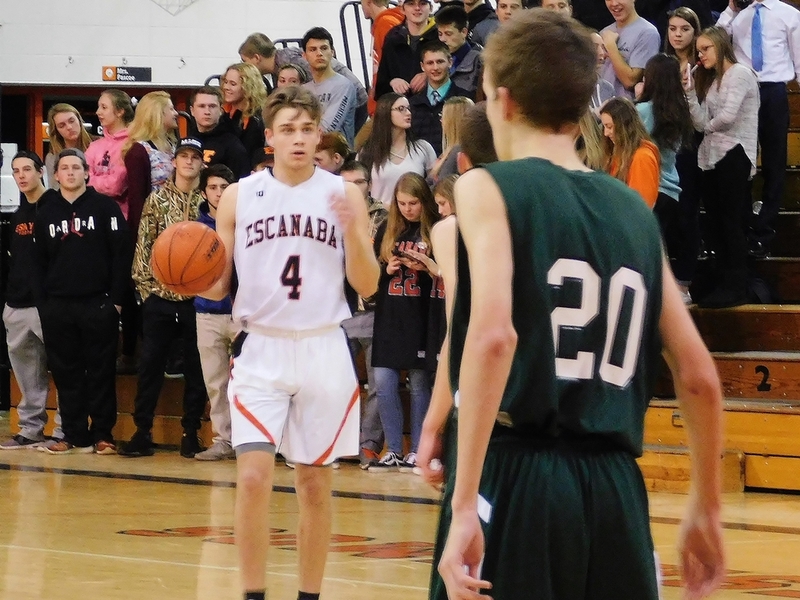 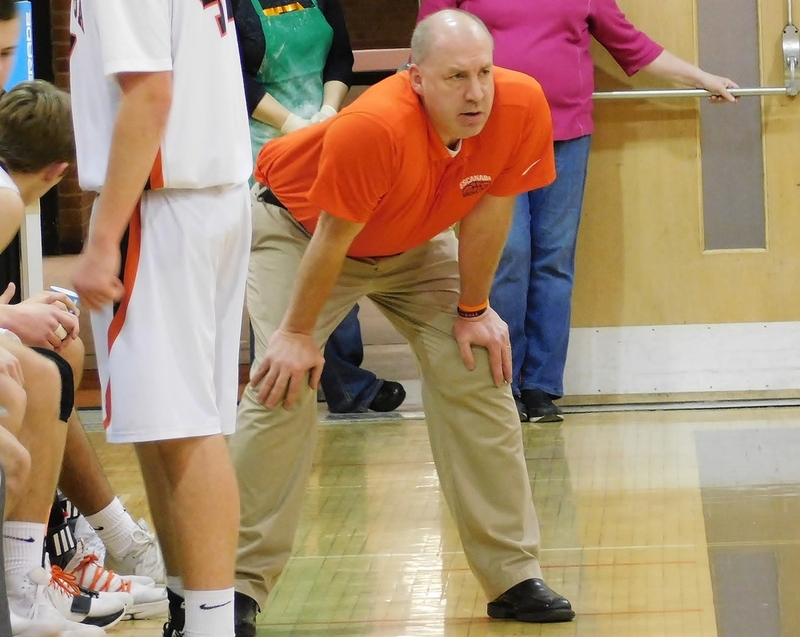 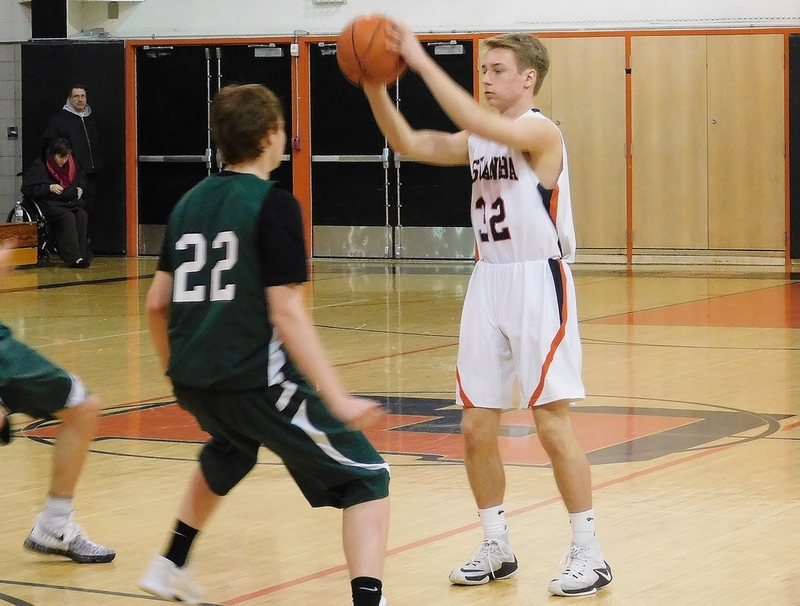 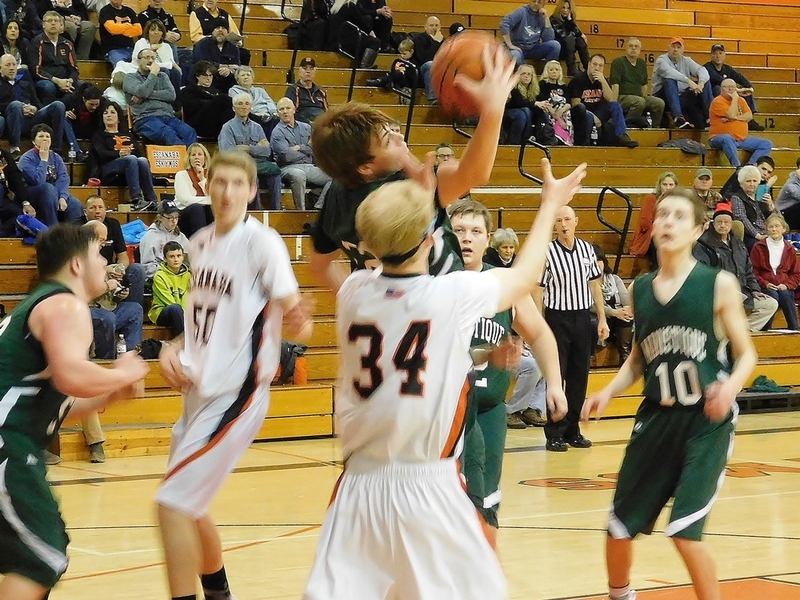 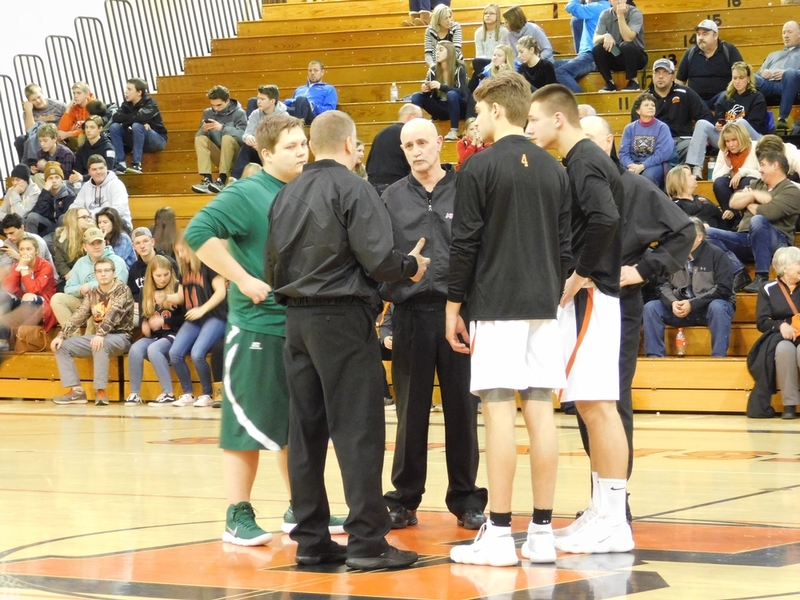 ESCANABA---The Escanaba High School boys basketball team substituted freely and cruised to a 77-48 win over the Manistique Emeralds in a make-up game Friday night in Escanaba. 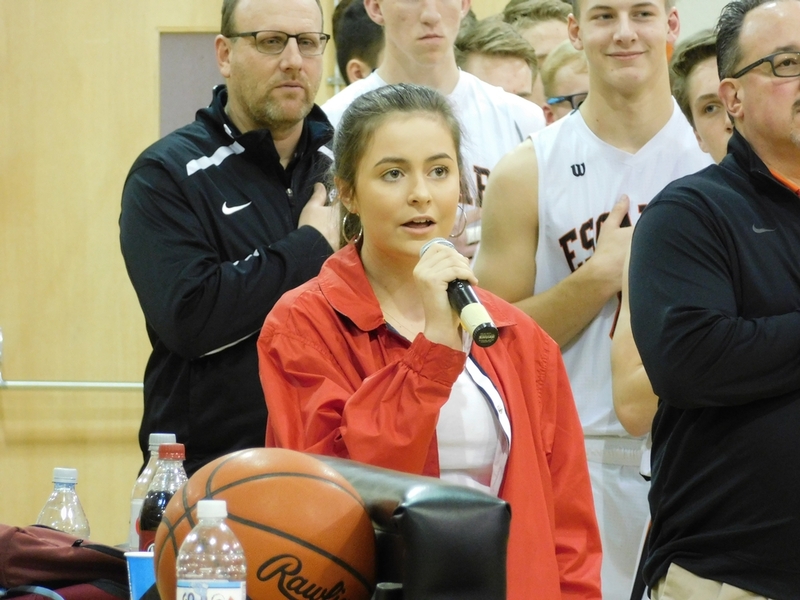 The Eskymos led, 7-6, late in the first quarter, but outscored the Emeralds, 32-10, the rest of the half to build a 23-point lead on Parent's Night. 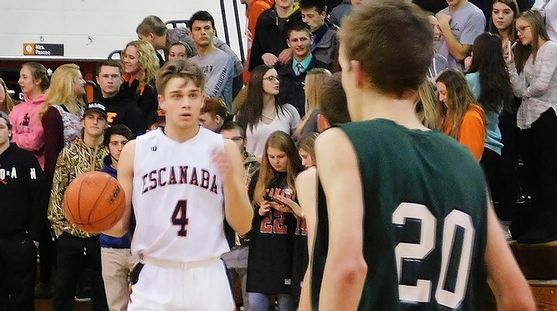 Eleven different Eskymos scored in the game, including JV call-up Carter Hudson, the son of Escanaba varsity coach Tracy Hudson. 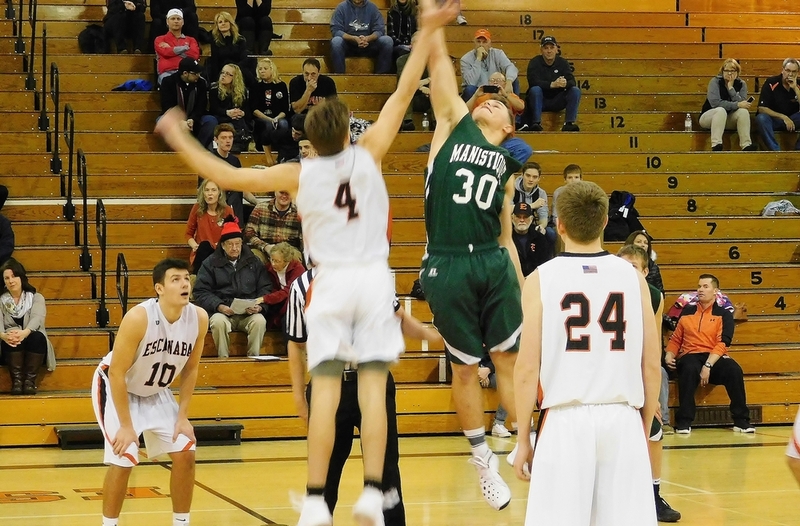 The younger (and much taller) Hudson scored his first varsity basket, as well as a couple of free throws, in the contest. 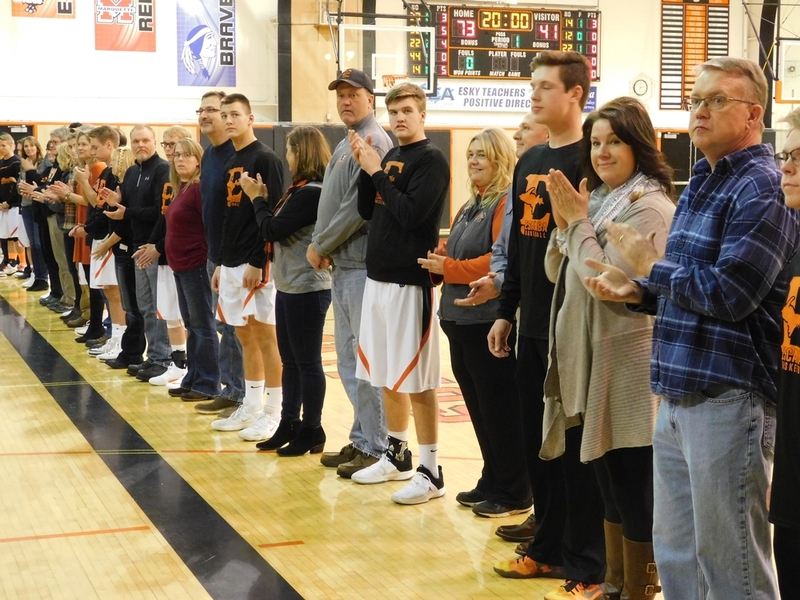 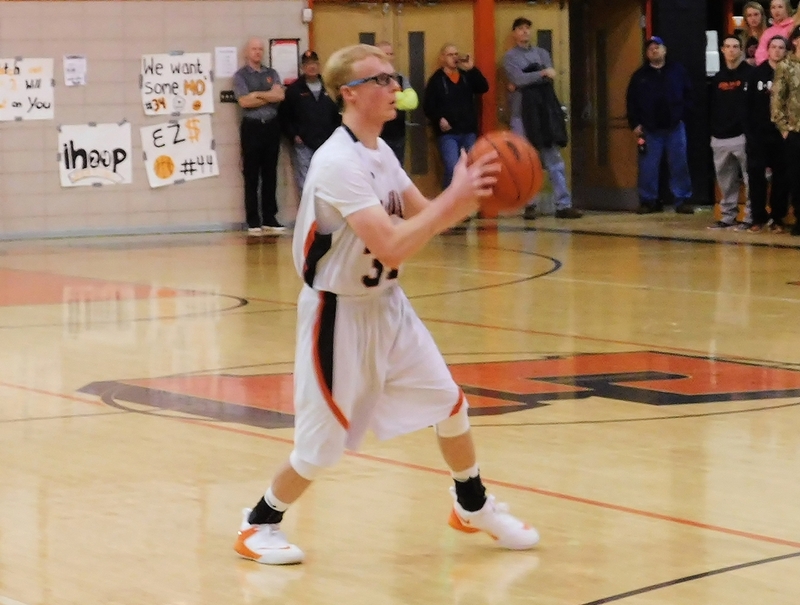 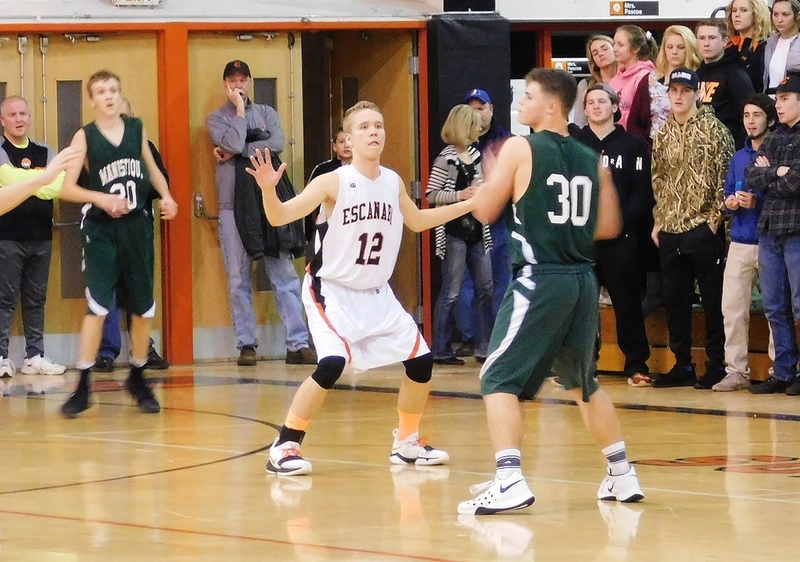 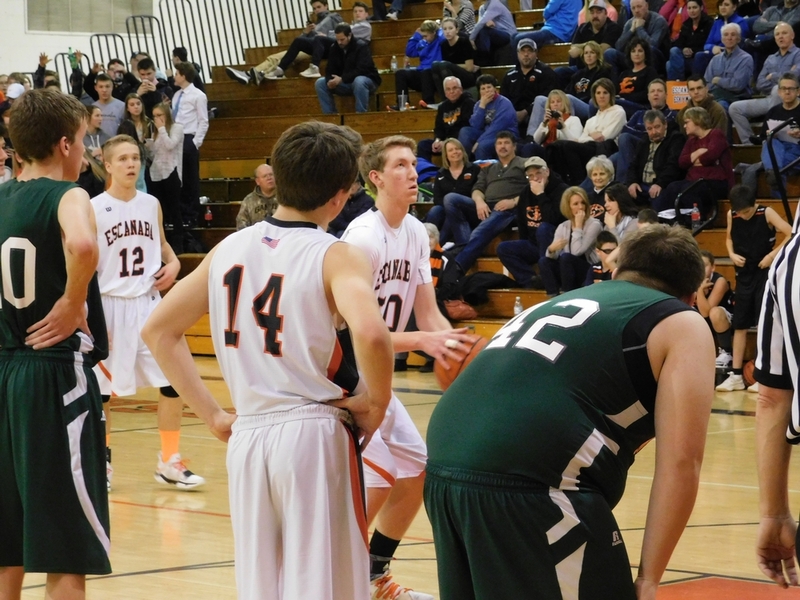 Escanaba made twelve three-point baskets in the game, with Peyton Fedell sinking four of them as part of his 14 points. 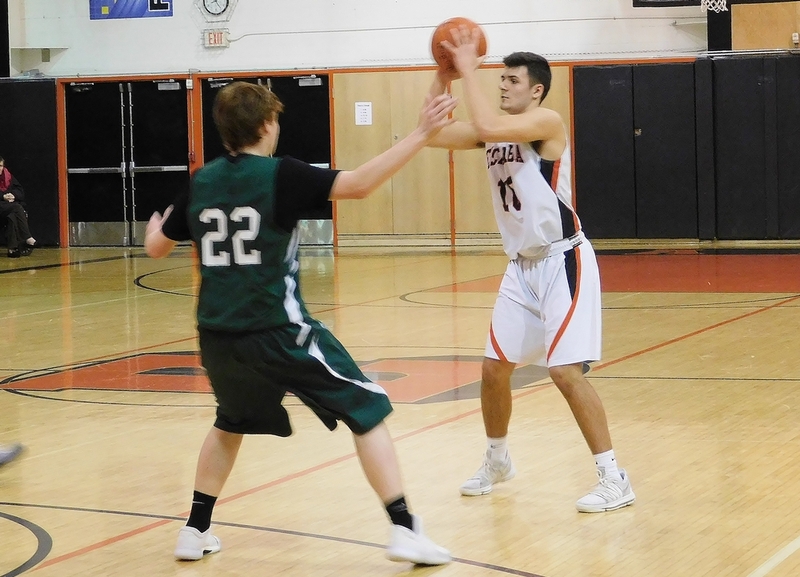 Senior Ryan Robinette led the way with 16 points with a pair of triples, and fellow senior Craig Kamin had 13 points, including three treys. 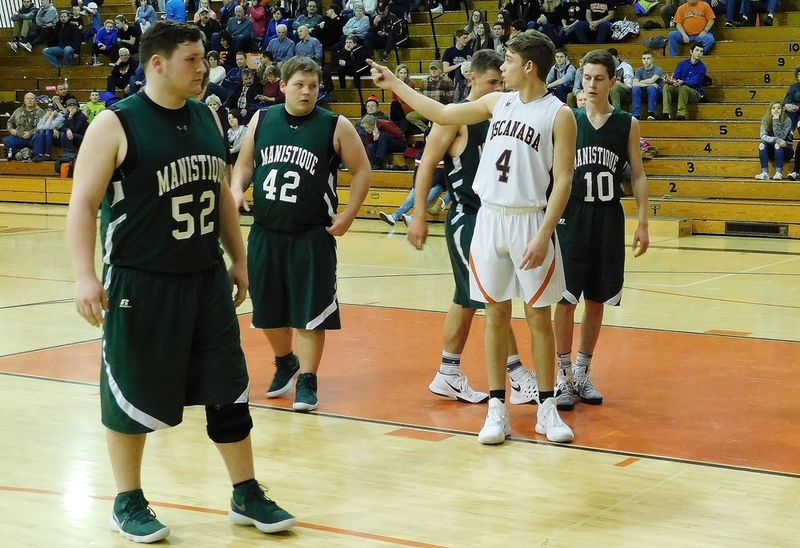 Manistique was led by Schyler Anderson's 21 points, including six three-pointers. 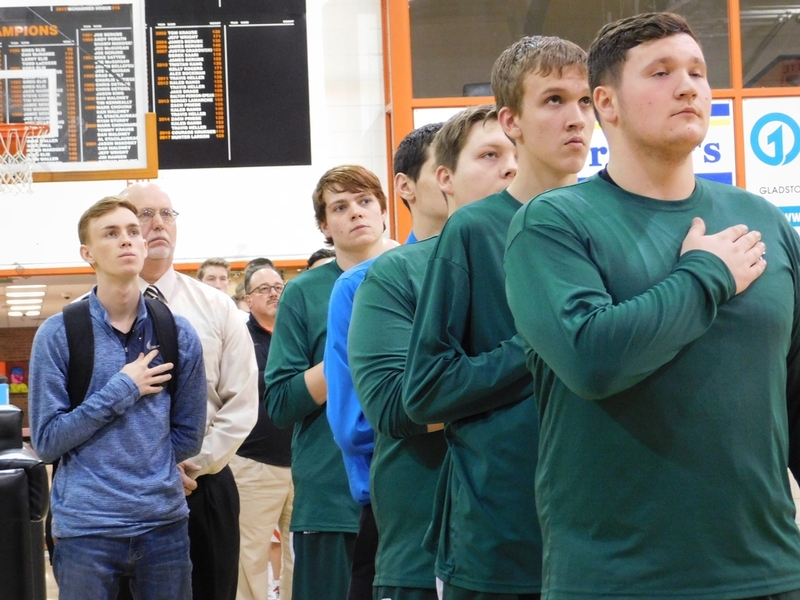 Click the thumbnails in the ARTICLE HIGHLIGHTS box above to see photos, videos from Friday night's game.